Tibetan Official Photographer Jigme Taring. were all there was of the public demonstration on the morning of March 10th. REMEMBERING MARCH 10, 1959. TRIBUTE TO TIBETAN OFFICIAL PHOTOGRAPHER JIGME TARING. 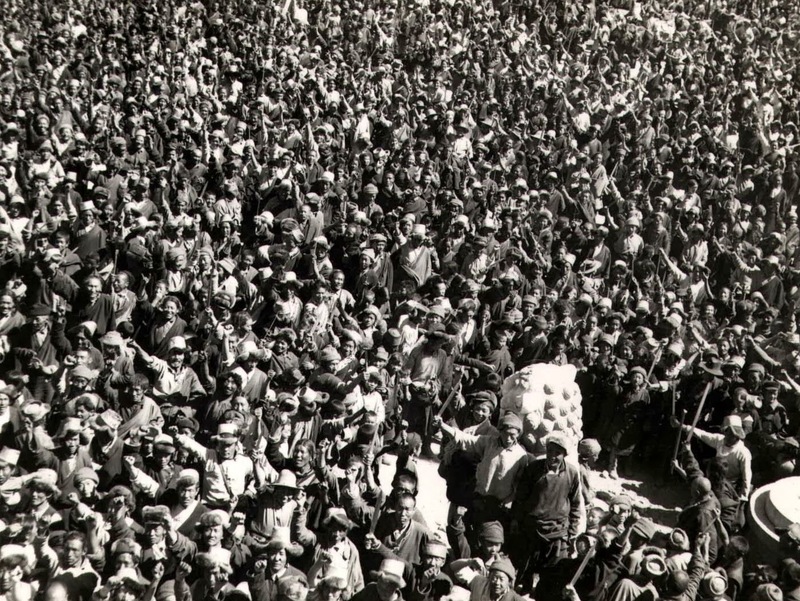 The second photo gives us an even further view of the crowd and shows people from Lhasa streaming to joining the gathering. You also get a glimpse of the Chakpori in the distance. The third photo is disturbing. We have a partial view of the mutilated body of Phakpala Khenchung Sonam Gyaltsen behind one of the two snow lion statues in front of the main gate, surrounded by people brandishing daggers, swords and even a hatchet. My guess is that the photographer was probably Jigme Taring. The people knew him as the Dalai Lama’s official photographer and perhaps that’s why don’t appear particularly hostile to him. We know the public was otherwise very angry, even violent that day. 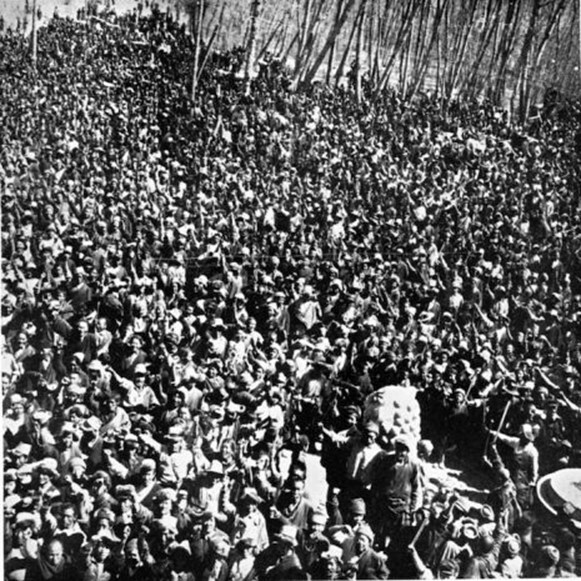 Of course, we cannot be certain that Taring took these photographs, but so far, I have not come across any mention of another official in the Norbulingka that day who might have taken these photographs. 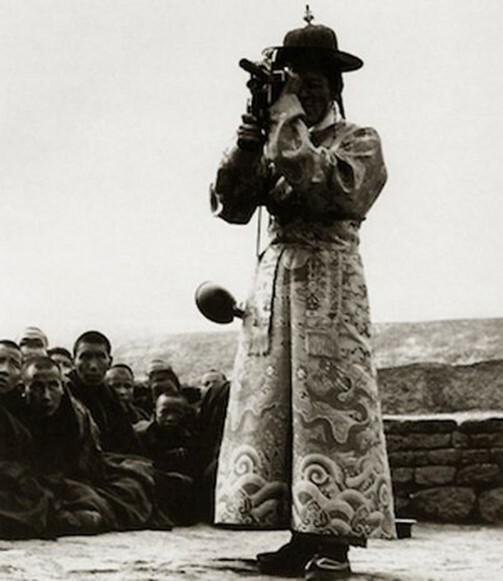 Photo of Jigme Taring shooting a cine-camera, with his still-camera and flash by his side. Photo by Chen Zonglie, Xinhua News Agency. 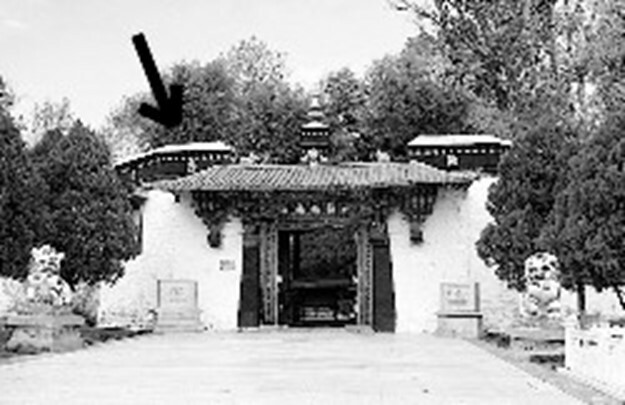 Jigme Taring was in and out of Norbulingka in the subsequent days, but during the night of the artillery barrage and the next day of the PLA attack he was inside the Summer Palace. 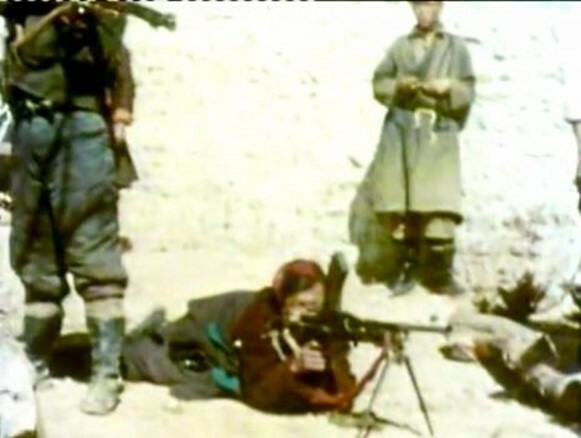 It is therefore more than possible that the color images below of armed Tibetan volunteer fighters inside and outside the Norbulingka walls were taken by Jigme Taring. These scenes were shot on color film, most probably on the “official” cine-camera that Jigme Taring had earlier used to film the Dalai Lama’s Geshe examinations. Remembering March 10, 1959. Tribute to photographer Jigme Taring. H.H. The Dalai Lama at his Geshe examination. 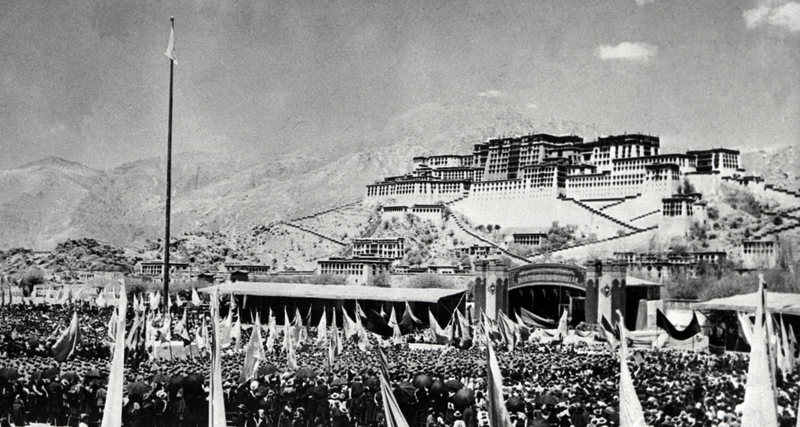 He had probably used what was left of his color film stock to record the scenes at the Norbulingka. 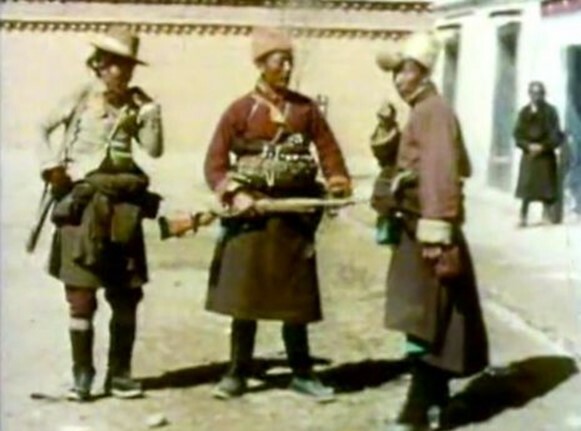 We now know that in the chaos Taring left the cine-camera behind in Norbulingka with a young official, and it is almost certain that the Chinese later obtained the camera and film. 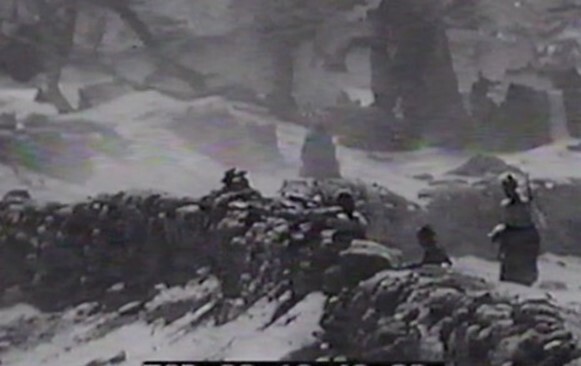 Some of the footage taken by Taring later appeared (in black& white) in the Chinese propaganda film Putting Down the Rebellion in Tibet. 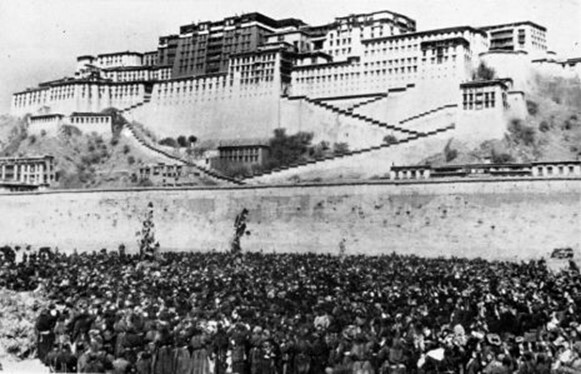 The Chinese Propaganda Department was then using black and white film, and only a few years later used color film for their documentary, By The Lhasa River. 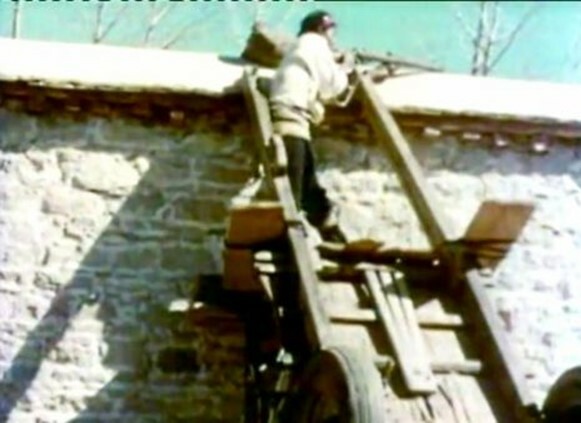 The color footage of the Taring film have also appeared in other documentaries and are probably now available somewhere in Beijing. Remembering March 10, 1959. 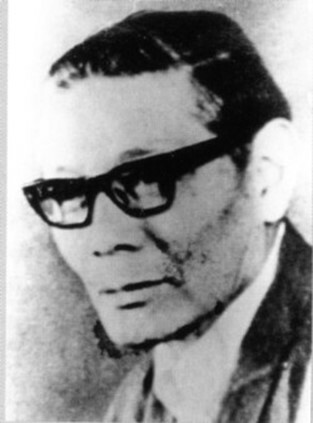 Tribute to photographer Jigme Taring. 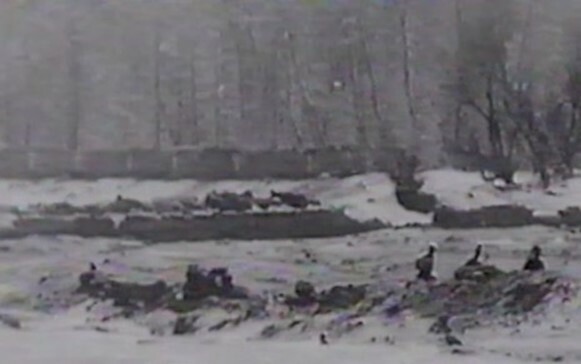 The Chinese also shot some black & white footage of Tibetan volunteers outside the Norbulingka though it was understandably taken from a distance. 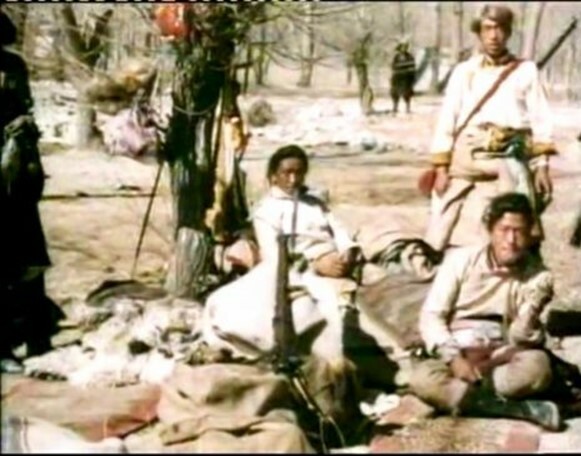 A Chinese journalist Shan Chao  accompanied some PLA officers in a convoy of three armored cars on Monday the 16th to survey the trenches and fortifications the “rebels” were building at the northern end of the Norbulingka. 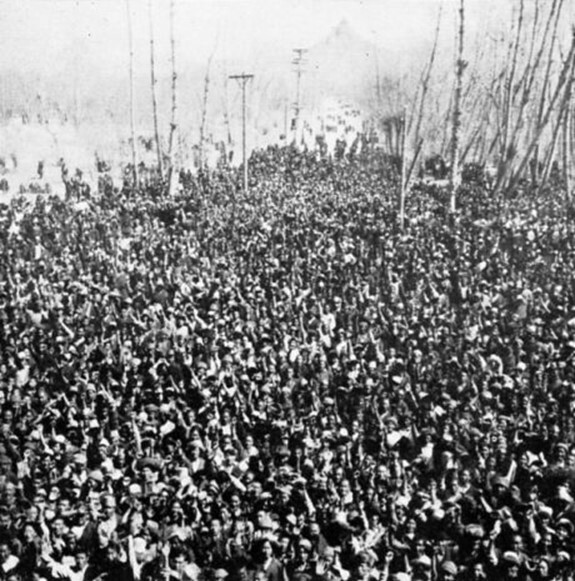 A cameraman from the propaganda department recorded the scene on film. In conclusion, I would like to dedicate this post to the memory of Jigme Taring – photographer and man of courage. 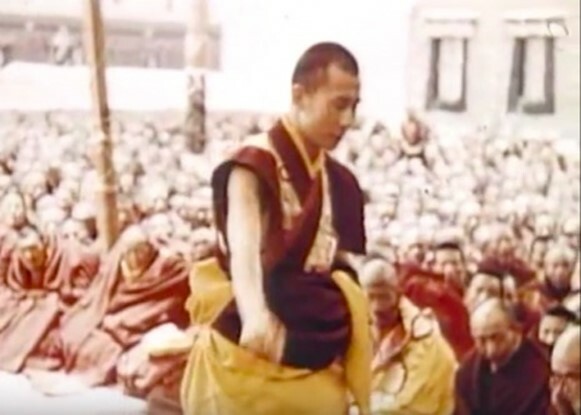 In March 1959, he went to the Norbulingka to serve and protect the Dalai Lama and remained there through the period of the Dalai Lama’s escape, and during the subsequent fighting. In his autobiography, the monk official (tsedrung) Tenpa Soepa  mentions meeting Jigme Taring during an intense artillery bombardment. On his way, south he was stopped by Chushigangdruk fighters but convinced them that he was Taring Dzasak and that the photographs in his camera were invaluable and should reach the Dalai Lama. They let him go. This camera was most likely his still camera with which he took the three black-&-white photographs (and the women’s rally photos) discussed at the beginning of this article – which have immeasurably benefited our history and struggle.